US President Donald Trump is poised to pull the country out of the Paris climate accord, US media report, quoting senior officials. The 2015 accord for the first time united most of the world in a single agreement to mitigate climate change. It was signed by 195 countries out of 197 in a UN group on climate change, with Syria and Nicaragua abstaining. In a tweet on Wednesday, Mr Trump said he would announce his decision within the "next few days". What was agreed in Paris? Climate change, or global warming, refers to the damaging effect of gases, or emissions, released from industry and agriculture on the atmosphere. The Paris accord is meant to limit the global rise in temperature attributed to emissions. To date, 147 out of the 197 countries have ratified the accord, including the US, where the accord entered into force last November. Mr Trump has previously called climate change "a hoax" devised by the Chinese government. He promised to "cancel" the Paris deal during his election campaign last year, saying it was "bad for US business" because it allowed "foreign bureaucrats control over how much energy we use". His supporters argue the accord restricts America's ability to do what it wants with its energy resources - an important sector of the economy. However, under the accord, countries set emission limits themselves - not an outside panel. If he does decide to pull out of the accord, the key question is how will he do it? The agreement stipulates a three-year waiting period before a country can give notice of leaving, which adds another 12 months and brings us to June 2021. It could be that President Trump will be out of office before the US would be out of the deal. Alternatively he could declare that the agreement is a treaty which in US law needs approval by the Senate. It's likely that the Republican majority in the chamber would mean the end of the road for Paris. A more extreme option would be to pull out of the United Nations Framework Convention on Climate Change upon which the Paris deal is built. It dates back to 1992 and was agreed by President George Bush, and left in place by his son, George W, who was no great fan of climate action. Leaving this longstanding convention would only take 12 months, but would be seen as perhaps a bigger slap in the face for the international community, as it places strong emphasis on the environmental rights of developing nations. Can America leave just like that? It remains unclear when or how the administration might plan to pull out of the climate agreement, the BBC's Paul Rincon writes. A four-year period is required to quit the Paris deal but by pulling out of the UN's climate body - the UNFCCC - the US could extricate itself in one year. However, this would represent a significant move: the US signed up to the convention in 1992, under then President George Bush Snr. A small team including Environmental Protection Agency chief Scott Pruitt is working on the details of how the withdrawal will be executed, the Axios news site reports, quoting unnamed sources. Does it matter if the US pulls out? 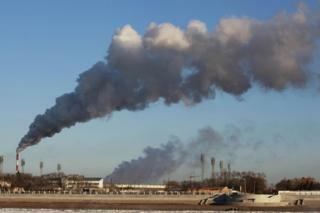 America is the world's second-biggest carbon dioxide emitter after China so its withdrawal would have a real impact. Under the Paris accord, it is committed to reducing greenhouse emissions by 26-28% below its 2005 level by 2025. 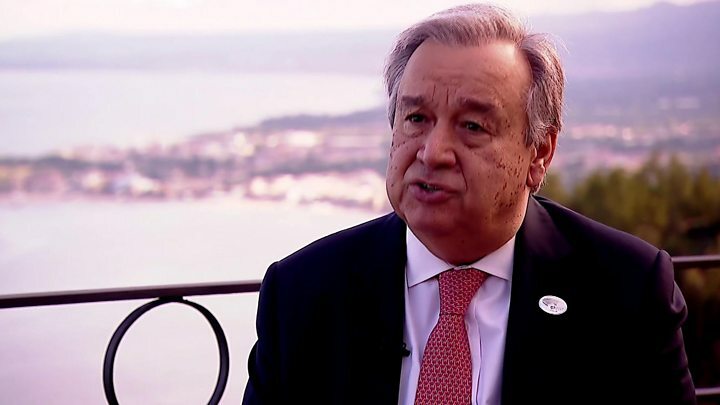 Media captionAntonio Guterres: "The agreement doesn't collapse if a country leaves the agreement"
There are fears that other countries could follow the US lead or show less commitment to the goals of the Paris accord. However, China, India and the EU have indicated they will stick with the accord even if Mr Trump moves to withdraw the US. Speaking to the BBC earlier, UN Secretary General Antonio Guterres said the accord would survive regardless of Mr Trump's position. Environmental groups like the Sierra Club said American withdrawal from the Paris accord would be a "historic mistake", while Friends of the Earth said the move would "sacrifice our planet to the fossil fuel industry" and make the US the world's "foremost climate villain". Tesla and SpaceX CEO Elon Musk threatened to step down from a pair of White House advisory councils if Mr Trump withdraws from the deal. In recent days, the CEOs of dozens of companies including ExxonMobil Corp, Dow Chemical and Unilever NV have urged the White House to remain in the accord. 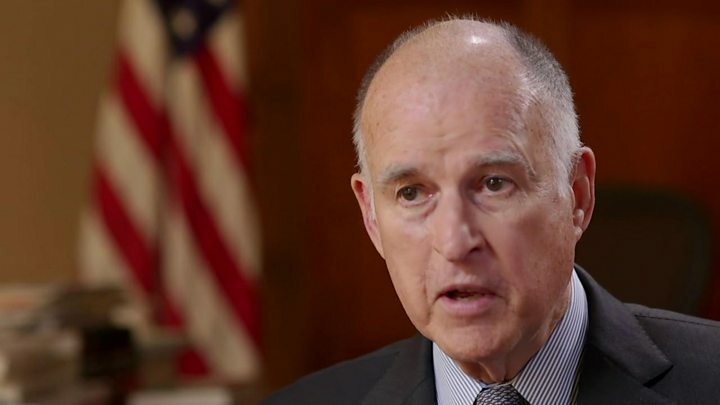 One of the US states leading the fight against climate change is California, and its governor told the BBC the US president was giving climate denial a bad name. There are dissenting voices within Mr Trump's own party. Senior Republicans like Senator Lindsey Graham and Mitt Romney have warned the move threatens US standing and leadership. UK Home Secretary Amber Rudd said the British government would be "disappointed" if the US pulled out but they would not tell President Trump he was wrong. The French government said it would pursue a "very aggressive" policy to uphold the Paris accord. While a presidential decision to pull out of the Paris Agreement would roil the international community and frustrate White House advocates of addressing climate change - including Donald Trump's own daughter - there are formidable forces within the administration in favour of such a move. Economic nationalists like senior adviser Steve Bannon view withdrawal as very visible way for the US to demonstrate that it's putting its own economic interests ahead of the concerns of the "international community". Movement conservatives, including US Environmental Protection Agency head Scott Pruitt, are keen to strike a blow to the environmentalist coalition, which they view as creeping socialism cloaked in an earth-friendly guise. Meanwhile, Mr Trump's working-class supporters - particularly those in the economically distressed coal-producing regions of West Virginia, Ohio and Pennsylvania that delivered victory to the president - are more concerned about jobs and their way of life, rather than the distant, amorphous threat of rising sea levels or shifting climate patterns. A top EU official said Europe was ready to assume leadership on combating climate change. "There is a much stronger expectation from our partners across the world from Africa, Asia and China that Europe should assume leadership in this effort and we are ready to do that," European Commission Vice-President Maros Sefcovic was quoted as saying by Reuters news agency. German government spokeswoman Ulrike Demmer said: "I can only reiterate the well-known position that the German government unequivocally supports the Paris climate agreement and is campaigning for it to be quickly implemented and hopes the USA remains committed to this agreement." What is in the Paris climate agreement? The death toll from Sunday's bomb attacks rises to 310 and a state of emergency is in effect. Does your dinner come from a “dark kitchen”?